Living paycheck to paycheck can feel like an endless scramble. Rent is due on the first but your paycheck won’t clear until the second. On top of everything, you need to pay for groceries, a bus ticket, and utilities before the end of the week. By the time you do get paid, your paycheck is already spent on bare necessities, and the cycle continues. It’s nearly impossible to focus on long-term savings goals when short-term financial woes stand in the way. Lifestyle purchases such as a gym membership or a trip to the movies are even out of reach. This way of life can lead to chronic stress, which studies show lead directly to bad financial choices. Building a financial cushion — the very thing that will break paycheck-to-paycheck living — gets put on the backburner in this scenario. How do you stop living paycheck to paycheck? Let’s tackle the issue to break the cycle for good. What is Living Paycheck to Paycheck? Struggling to make ends meet every two weeks? You’re not alone. Nearly 80 percent of workers barely stretch their dime from one check to the next, a figure that continues to rise. This not only affects long-term planning, but it also cuts into savings, emergency funds, and paying down debt. About a third of Americans have less than $5,000 saved for retirement. Without a savings cushion, there’s no safety net to stay afloat in the event of an emergency. Living paycheck to paycheck is defined as spending your entire bank account before your next pay cycle. Your take-home pay equals or falls just short of your monthly expenses. Necessities like rent, mortgage, groceries, daycare, and transportation leave little room for discretionary income. Quality-of-life purchases — a gym membership, a night out, a new book — are often out of the question. More pressing concerns infiltrate the mindset of paycheck-to-paycheck life. Inevitable costs, such as car repairs or health emergencies, can lead to significant financial hardship. This way of living also prohibits long-term plans like taking a family vacation or saving up for a child’s college education. In the worst case scenarios, those with little cushion turn to credit cards or high-interest loans, piling more onto their monthly expenses. What’s more, daily anxiety lies beneath every financial purchase, from the grocery store to the doctor’s office. Without an end in sight, it’s easy to feel burned out or too stuck to improve your career or financial health. Breaking the paycheck-to-paycheck cycle takes persistence and strategy. There are methods for adjusting your spending, savings contributions, and income channels, even when it feels like you’ve exhausted all your options. It’s the age-old problem: your paycheck is spent and you have no idea where it all went. Tracking your spending is more than half the battle. If you feel out of control, consulting your budget is the only way to map out a solid game plan for breaking the cycle. It’s important to create one central location for you and your spouse to check in on family spending from month to month. You can either build a budget in an Excel spreadsheet or use several helpful apps, such as Mint, that walk you through the process. 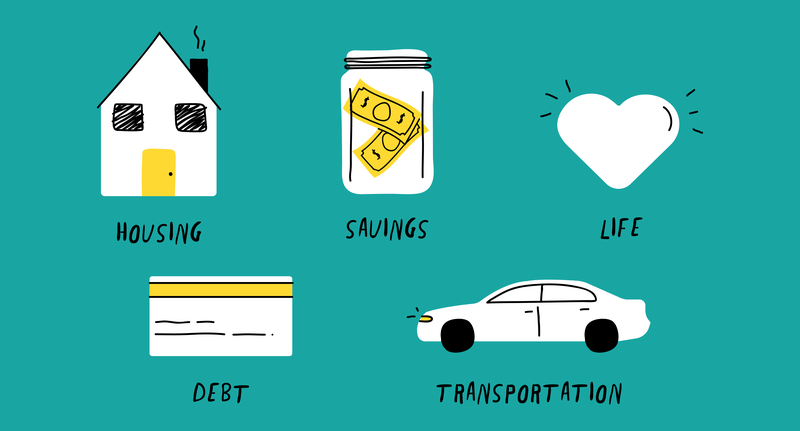 Mint tracks and analyzes your spending habits to make the most out of your budget. Access your tracker at any time and receive professional advice for allocating savings or changing your spending habits. When you begin budgeting, look back over the past two or three months. Move through your bank account and add purchases to the “spent” column within the appropriate category. Now that you have a sense of your standard spending, set goals for the next several months and track day-to-day purchases. Now that everything is laid out in black and white, it’s much easier to make adjustments. Do you have a large expense on the horizon like holiday gifts or annual dues? Add that into the given month and adjust your lifestyle spending to accommodate the change. Carrying a credit card balance from month to month can keep you in the paycheck-to-paycheck loop. For example, let’s say you have a high balance with a monthly interest charge. If the interest charge is close to your minimum payment, it may be difficult to make a dent in your balance. This extends your credit card payments much further into the future. It’s easier to map out your credit card plan when you stick to a budget. Use your wiggle room — restaurant, bar, and travel costs — toward credit card debt. Though it requires a lifestyle change in the moment, you may free up more money for savings in the near future. In the meantime, try to leave your credit cards at home and stick to cash or your debit card. Once you get your balance under control, only use your credit card when you know the money will arrive within the pay cycle. In the early days of saving, it’s all about consistency, not size. Slowly increase your savings allocation until you’re contributing 20 percent of each paycheck per month. Unsure of how to save when you’re living paycheck to paycheck? Start small. Try cost-saving tactics like meal planning, opting for generic home brands, and cutting any monthly expenses you can live without. Is your cable bill too high? Switch to streaming services or limit your TV consumption to trim your bill. These changes may seem small, but they quickly compile into significant savings contributions. It’s important to remember that budgeting is a lifestyle shift. Choose a friend or family member to keep you on track in your savings and budgeting goals. When you need a boost, check back in with your goal. 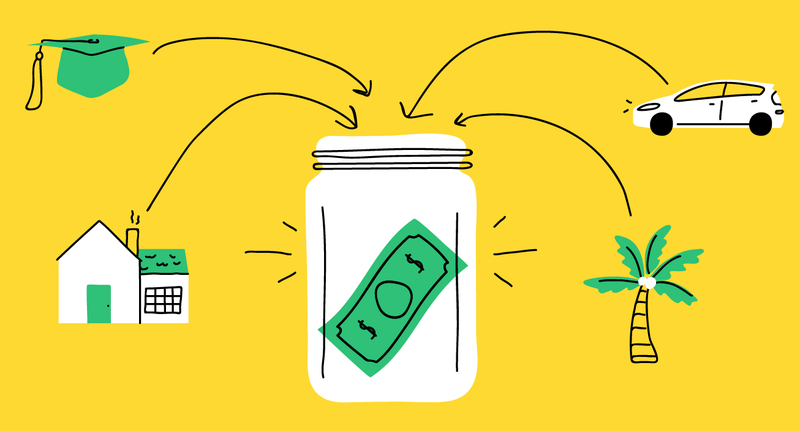 How much closer have you come to building an emergency fund? Even putting the plan in place is a huge accomplishment. There may be no hard and fast rule for breaking the paycheck-to-paycheck cycle, but patience is key. Consider what is within your control and build a plan from here. A budget puts everything in perspective and highlights places where you struggle. Once you see the problem, it’s much easier to take action. Small, consistent lifestyle and budgeting changes do make a difference over time. When in doubt, always turn to your community for support. Living paycheck-to-paycheck is a common issue and one that requires focus and determination to break. The post Living Paycheck to Paycheck: How to Break the Cycle appeared first on MintLife Blog. Managing your savings is a skill developed over time. As with all things, it’s always best to start small. What exactly is saving? A savings account and the act of saving are not quite the same. Saving — the verb — is the act of setting aside income for future use. You might use these funds to build an emergency fund, make larger purchases, or even invest further. Savings — the noun — are the tools you use to accumulate this money. Examples include traditional savings, CDs, or money market accounts. Sure, saving may seem out of reach when you first begin, but building this practice can improve your overall financial wellness. Everyone has a different relationship with their savings goals. Understanding your options helps you spend and plan with confidence. What Are Savings and Why Are They Important? For the most part, spending can be broken up into several categories: essentials, lifestyle, debt repayment, and savings. A balanced budget should allocate about 20 percent of your monthly income for some form of savings and/or debt repayment. Savings are purposely less accessible than your checking. This money isn’t meant for everyday expenses; you shouldn’t be able to dig into your savings on a whim. Savings should build up over time without the interruption of impulse purchases. Most accounts also feature some level of annual percentage yield with either a set or variable interest rate. This is one of the reasons why it’s important to move savings into a designated account. Otherwise, you may be missing out on passive income. What are the Different Types of Savings? 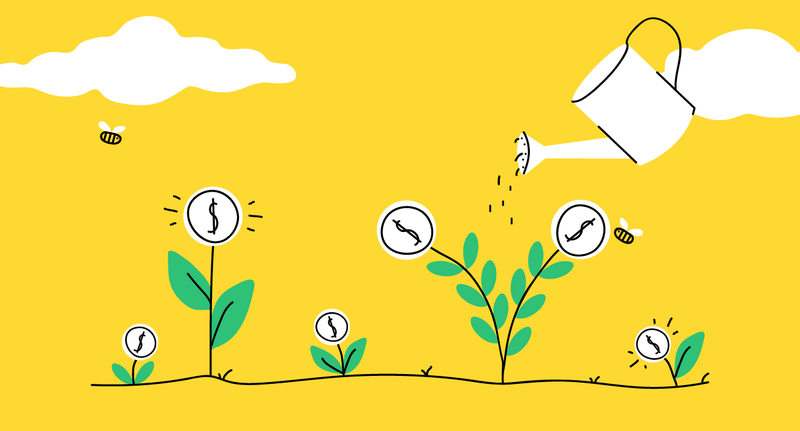 How and where you store your savings can determine how much it grows over time. The “yield” of your savings account is the standard rate of growth over time. Typically, the less accessible your savings, the higher the interest rate. Let’s take a look at some of the most traditional types of savings, keeping in mind that they have different limits to the number and kinds of transactions you can make. Savings accounts: A traditional savings account is ideal for the quick transfer and withdrawal of monthly savings allocations. These accounts are ideal for emergency funds, travel savings, or for other large purchases. The current national average of savings account interest is one percent according to the FDIC, the lowest of these options. Money Market Accounts: Money market accounts offer higher yields and fluctuate with the market itself. Banks may require a minimum balance to open and maintain the account or charge transaction and maintenance fees. In some cases, higher balances could unlock higher interest rates as well. Certificate of Deposit (CDs): Customers can buy insured Certificates of Deposit from banks and credit unions. This option tends to have the largest yield. Customers lock in their money for a set period of time and receive both the balance and interest when the CD expires. 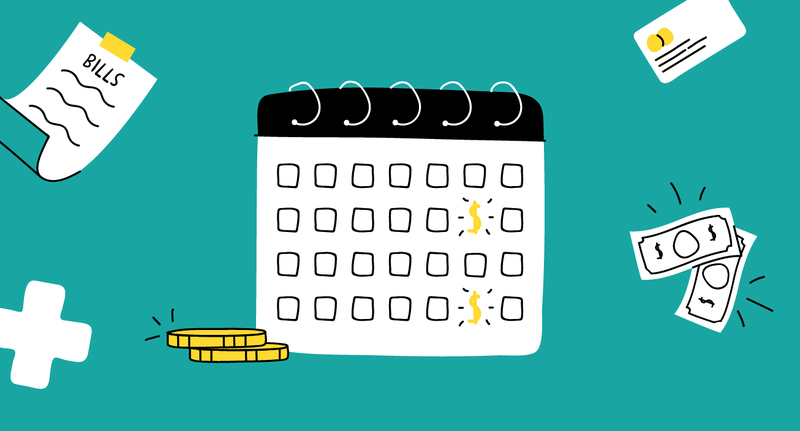 Set Savings Goals: Budgets shine a light on where your paycheck goes each month. Transfer your surplus into a savings account at the same time each month. There’s nothing wrong with starting small. Even setting aside $20 builds the habit. Schedule gradual increases to your savings allocations until you reach your ideal amount. Save 20 Percent of Your Paycheck: Specialists recommend the 50/30/20 rule for budgets. In this setup, 50 percent of your pay goes toward essentials like housing costs, transportation, and monthly bills. Lifestyle choices like restaurants, bars, and shopping expenses should not exceed 30 percent. The final 20 percent goes into your savings account or to pay down debt. Organize with Savings Apps: Budgeting apps like Mint help you organize your money both in the present and future. Make informed decisions before increasing your savings allocations using charts and projections to see how it will affect your long-term costs. Savings are a way to create your own safety net. It allows you to look ahead and take control of your finances. Whether you choose to invest in a CD or open your first savings account, saving opens the door to new possibilities. The post What You Need to Know About Savings appeared first on MintLife Blog.